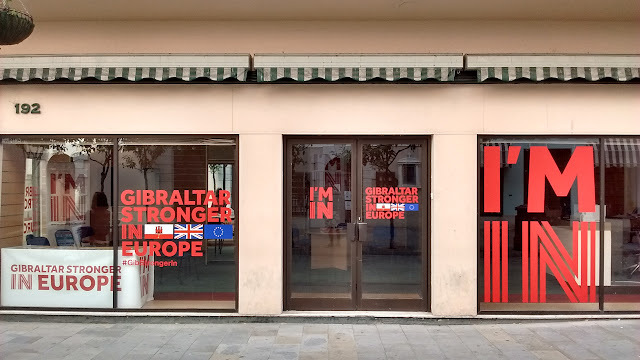 UK voters’ surprise choice to leave the EU happened exactly a year ago, on June 23, 2016 - but it didn’t automatically trigger the two-year countdown clock on exit negotiations necessary for departure under Article 50 of the EU’s Lisbon Treaty. Map of election results in the UK's "Brexit" referendum. Modified by Evan Centanni from Wikimedia map by Mirrorme22, Nilfanion, TUBS, and Sting (CC BY-SA). The results are in for yesterday's referendum on UK membership in the European Union, and the winner is "Leave". Brits voted by a margin of 52% to 48% in favor of exiting the European Union, making a "Brexit" (British exit from the EU) more or less guaranteed in the coming years. 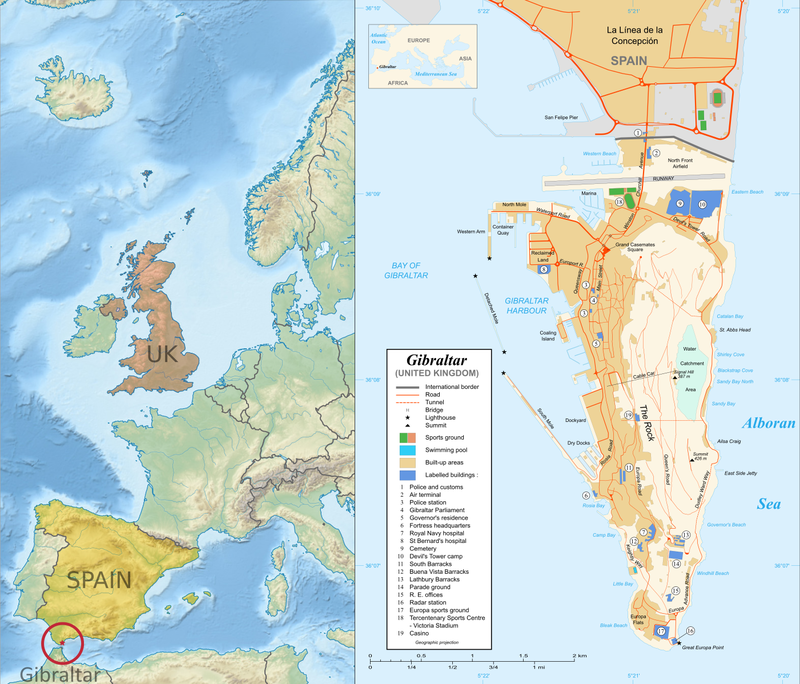 Britain will become the first member country ever to leave the EU, and the British overseas territory of Gibraltar is expected to get pulled out with it. Voter tendencies varied a lot from place to place. 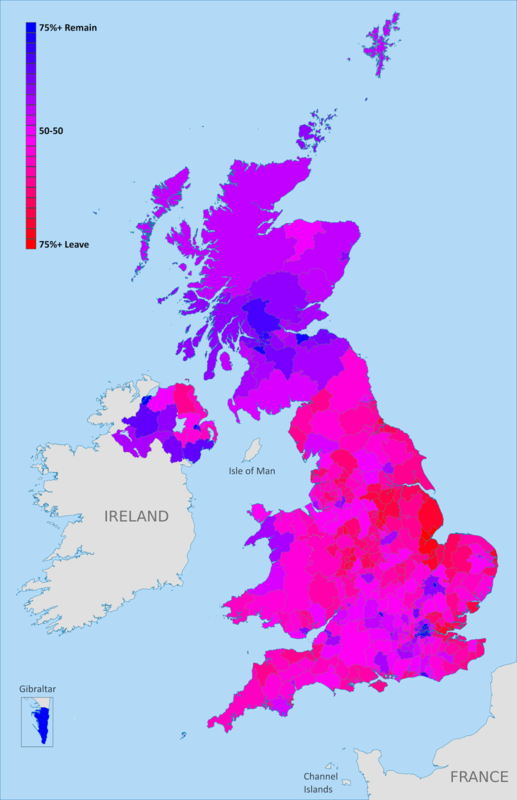 Support for the "Remain" side was strong across Scotland, culturally Irish parts of Northern Ireland, the London area, and a handful of other cities in England (led by Cambridge, Oxford, and Brighton). By far the greatest show of support for Remain was a win by 96% in Gibraltar - which isn't even in the UK proper, but got to vote because of its unique status as a British external territory that's in the EU. 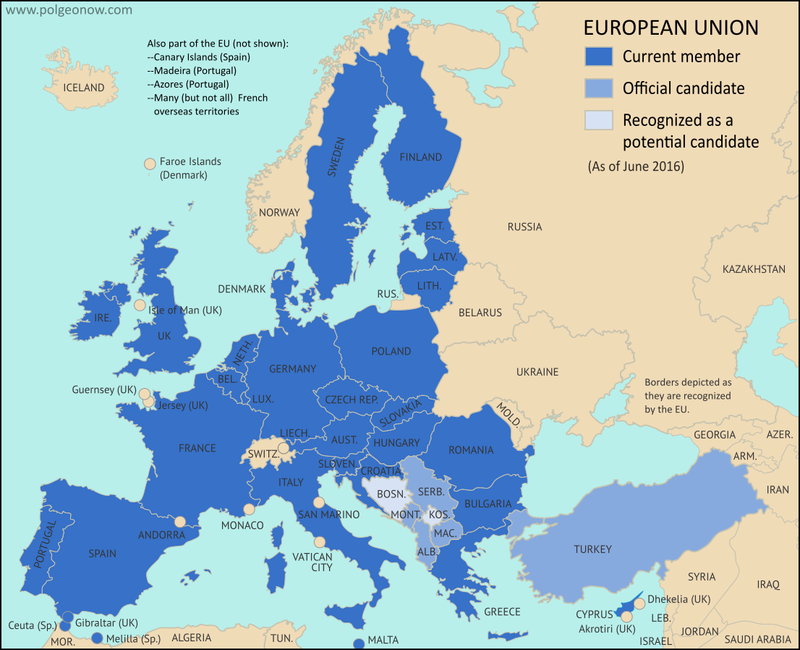 The European Union. Click for full map and list of members.